Foster Homes needed for Dogs and Cats. If you would like to join us in this rewarding work helping save lives, please contact us. We are looking for people who can temporarily foster a cat or Dog until a permanent home is found. We provide the medical, food if needed. Ask about being a foster home. The Pet Samaritan Fund, a nonprofit organization was established in 1991 by founder Emily C. Dial, when she saw the desperate need to help the most helpless members of Society-abandoned/injured and/or abused pets in the Salt Lake City, Utah and surrounding areas. Shelter for sick, injured, abandoned, and abused animals. 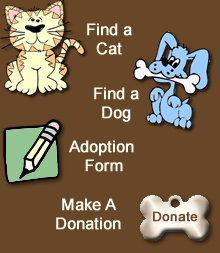 An Adoption Progran for finding homes for unwanted animals rescued from local Animal Shelters. Assistance to low income individuals/familes with medical aid, pet food, misc. supplies and transportation. Dogs are "By appointment only." Ask about our two-for-one special and Senior Discount! It is the highest priority of the Pet Samaritan Fund to adopt out healthy and behaviorally sound animals to our caring community. Our adoption fees help to offset the cost of evaluation, housing, feeding and medical care for the many animals in our care. We do our best to keep our adoption prices reasonable while generating income to support our goal of caring for adoptable animals until we can place them in a loving home. Because we are a nonprofit, donations subsidize the gap between the cost for care and the adoption fee. It is only through the generosity of donors that we have the resources to help so many animals and hold them until we can find a home. The adoption fee for each animal varies and is dependent on many factors including: age, size, behavior, medical condition, and public demand. PLEASE NOTE: Adoptive parents must be willing and able to assume the cost for the health and welfare of the pet including medical attention, annual veterinary exams, and vaccinations. If unable to keep the pet, a Pet Samaritan Fund representative must be notified immediately and arrangements made for the pet's return. Brings hope, comfort and help to those in need. Their mission consists of human, animal, and environmental services. The program promotes and supports philanthropy through a program that is employee focused, cost-efficient, and effective in providing all participating company employees (thru payroll deduction) the opportunity to improve the quality of life for all. If your Company would like to schedule an audience, please contact Community Shares of Utah. All donations are tax deductable, and 100 percent go toward helping the animals. We have no paid staff. 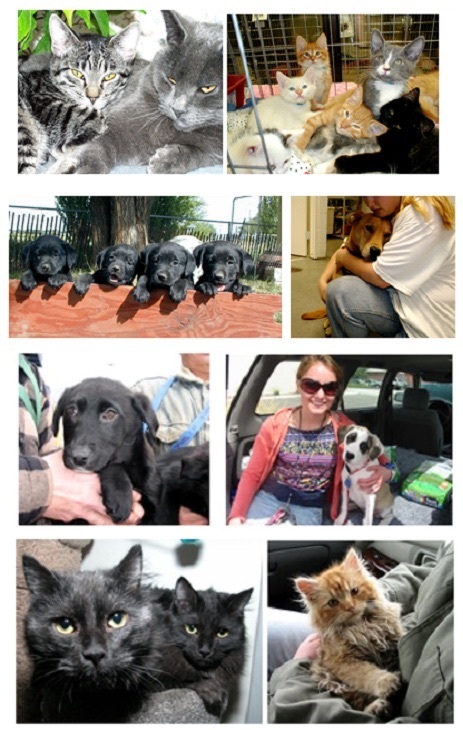 The Pet Samaritan Fund, a nonprofit organization established in 1991, aids needy animals mainly on the Wasatch Front, Uintah County, Utah County and some surrounding states. We are not operated or funded by any national humane groups or government agencies and must rely on our adoptions fees and contributions. Every penny we raise goes to caring for our animals, and we never euthanize a healthy, adoptable animal.